The Federal Signal CommCenter® Model 300MB broadcasts pre-recorded voice messages, melodies, tones and signals over SelecTone® and public address systems. 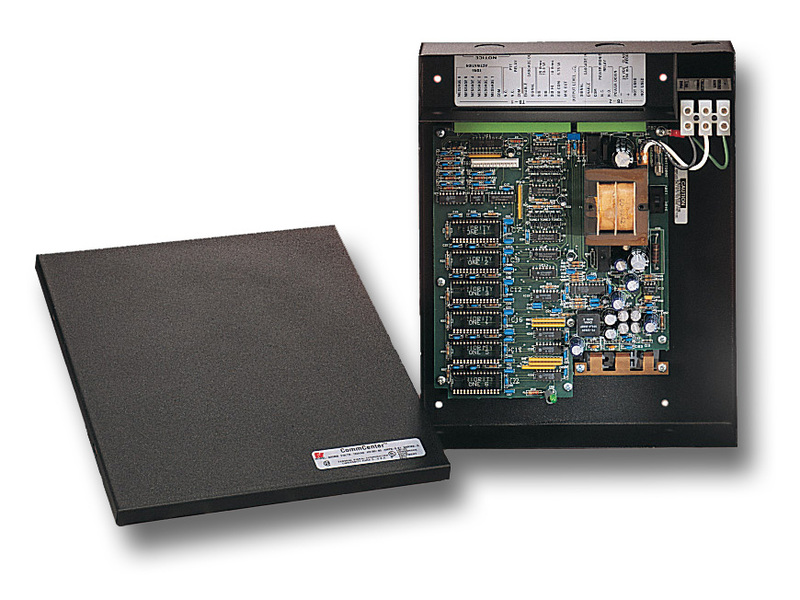 The 300MB replaces outdated loop tape units with superior, high-quality audio playback. The 300MB is remotely activated via contact closures. Melodies, voice messages, tones and signals are available, including the pre-recorded CommCenter Standard Library and optional custom recorded messages. Units can be interconnected for greater message capacity. CommCenter’s digital messaging capability is ideal for emergency evacuation announcements. Clear, concise, pre-determined instructions can be broadcast over a SelecTone or public address system. The CommCenter’s pre-recorded melodies can convey the status of a process or machine without interrupting the flow of production in surrounding areas. Voice messages in any language can alert operators to emergency situations. The CommCenter offers quality and versatility to public address systems that broadcast repetitive, prerecorded messages.